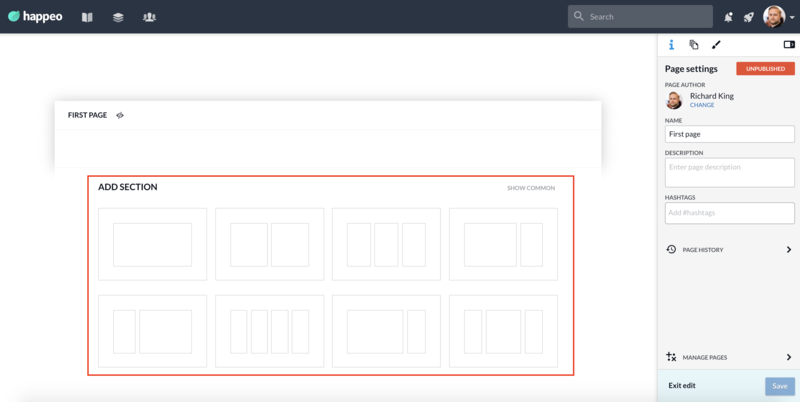 Sections are layouts that can be applied to a Page. They give the overall page its structure. There are may section options available to allow multi column designs. After choosing your Section you can then add Widgets into it.